Jeff along with his wife Annie is the owner of the funeral home. Jeff is a 1985 graduate of Wayne State University’s Mortuary Science Program. He also holds a bachelor’s degree from Western Michigan University which he earned in 1992. He enjoys exercising and spending time off with his children – Maggie, Jack and Peter. Jeff and his family are members of the St. Basil Catholic Church. When time allows, Jeff likes to be active in our community and is a member of the Kiwanis Club, Loyal Order of the Moose, Sons of the American Legion, and the Knights of Columbus. In 2013, Jeff and his family were the St. Basil Knights of Columbus Family of the year. 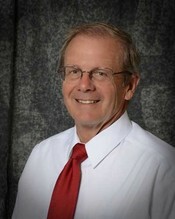 Jeff was recognized by the Bobby Walker Administration with their Leadership Award in 2010. He was also recognized by the First Spiritual Church of Covert for his role in community leadership in 2015. 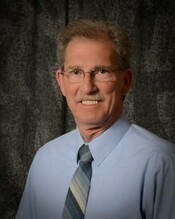 Ralph is the senior funeral director on our staff. 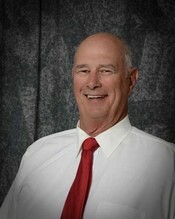 He and his wife Ann have been in the South Haven community since 1975. Ralph and his father owned the Frost Funeral Home. Ralph is a 1965 graduate of Wayne State University’s Mortuary Science Program. Ralph is married to Ann Frost. They have 3 children together and six grandchildren. Ralph enjoys working in his yard, fixing his tractors and playing with his grand children. He is a member of the St. Basil Catholic Church and the Knights of Columbus. 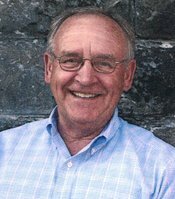 Ralph is a member of the South Haven Rotary Club and was presented the Paul Harris Fellowship Award in 1999. DyLan has been with us since 2008 and helps manage our office. A 2010 South Haven High School graduate, DyLan went on to earn a Bachelor’s Degree in Political Science from Western Michigan University in 2013. He enjoys playing music and is active in several music groups in South Haven. 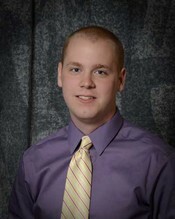 DyLan is also pursuing a career as a funeral director and is currently a licensed resident trainee. Born and raised in South Haven. Joe is a 1972 graduate of South Haven. Joe worked for General Telephone Company for 38 years until retiring in 2009. Joe is very active in St. Basil Catholic Church and is involved in the Knights of Columbus. His wife is Shelly Aleman and they have two boys. Joe enjoys going out for breakfast and working outside. Shelly helps as a funeral director’s assistant. She was born and raised in South Haven. Shelly and her mother, Polly Zordel, owned and operated Polly’s Boutique for many years in downtown South Haven. She is married to Joe Aleman and they have two sons together. 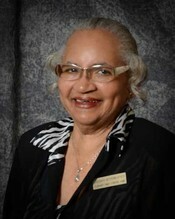 She is a member of St. Basils Catholic Church and the South Haven Elks. Wes retired to our community in 1999 and has been a funeral director’s assistant since then. Married to wife Elaine, Wes has one daughter and six grandchilren. Wes is active in the community being a member of the First Congregational Church in South Haven, South Haven Kiwanis, and recently was the Grand Marshal for the 2012 South Haven Fourth of July parade. Charlie is a retired State Police officer. He is very active in the South Haven area including Steelheaders. In Charlie's spare time he enjoys riding his motorcycle and fishing. Charlie has two children, 5 grandchildren and 2 great grandchildren. Barb is a funeral director’s assistant and has been part of our team since her retirement from the Palisades nuclear power plant. Barb is very active in the Covert Community. She is a member of the Gospel Tabernacle Missionary Baptist Church of Covert where she is the pianist. She is also a member of the Eastern Star. Mike has worked as a funeral director’s assistant since 2005. Mike is a graduate of Purdue and Grand Valley State University. Mike served his country in the U.S. Army for twenty years and retired from the service in 1986. Mike is the former county administrator for Berrien County. Mike enjoys volunteering with Hospice at Home, St. Basils Catholic Church and throughout the South Haven community and currently serves as a commissioner for Van Buren County. Mike and his wife Char live in South Haven. They have two daughters and three grand children. Debbie is a member of St. Paul Evangelical Lutheran church. She is married to Brian Dibble and they have one daughter – Brooke. 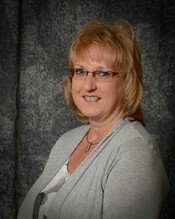 Debbie enjoys riding her motorcycle, jeeping and attending her daughter’s extra-curricular events. Sue is a lifelong resident of South Haven. Sue is an important part of our team and works as our house keeper. 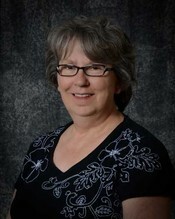 Sue is a graduate of South Haven High School and a member of Peace Evangelical Lutheran Church. Sue has one daughter - Kayla. Pastor Eric and Jennifer Jarvis both assist as funeral director’s assistants. Graduating with a bachelor’s degree in Pastoral Ministries from Central Bible College in Springfield, Missouri, Eric is the lead pastor of the First Assembly of God church in South Haven where he and Jennifer have served the congregation for 29 years. Eric also serves as our Funeral Home Chaplain. He enjoys outdoor sports, woodworking, and gardening. 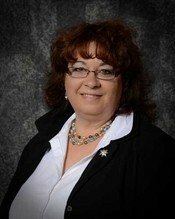 Jennifer earned her Master’s Degree in Elementary Education at Western Michigan University. Jennifer taught elementary school for 33 years, 30 of which were spent in South Haven, before her retirement in 2016. She enjoys traveling, working with children, and all things related to interior design. Together Eric and Jennifer have one son, Caleb, and two “Heart-adopted” daughters from Haiti, Chedeline and Midrene. John and Sandy Weiss help us as funeral director assistants. A part of the South Haven community for over forty years, John and Sandy retired from South Haven Public Schools after a combined 78 years of service. Sandy enjoys spending time reading at home. If you can’t find John around the house, you could probably find him in the sand traps at Hawks Head Golf Course. The Weiss’s enjoy traveling and spending time with their family and friends. Scott and Ann Raue compliment our team as funeral director assistants. Married for over forty years, Scott and Ann have been a part of the South Haven community for over fifty years. Together, Scott and Ann served a combined 58 years in the South Haven Public Schools until both retiring from the schools in 2010. Scott and Ann love traveling all over the United States and especially enjoy exploring new places. Scott and Ann have four grandchildren and treasure spending time with them the most. Kayla complements our team by assisting in the office place and by helping maintain our facilities. A 2010 graduate of South Haven High School, Kayla went to earn a Bachelor’s of Fine Arts degree from Kendall Collage of Art and Design in 2014. Kayla also is also a freelance artist and her work includes a large mural commission in South Haven which she completed in the summer of 2015. 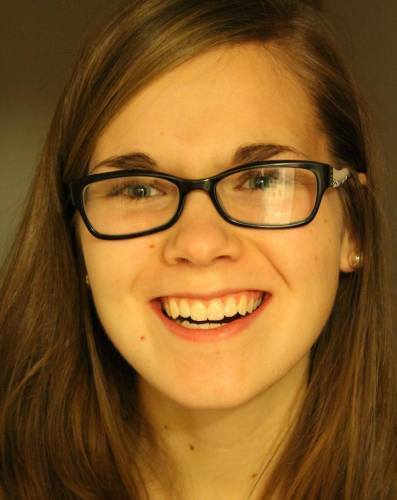 Kayla enjoys spending time with her family and friends. She also keeps busy as an intern at the South Haven Center for the Arts and completing personal projects for her portfolio.